Hi to everyone, I hope you enjoyed yesterday's technical session, *winks*. As my jet lag persists after four days, I start to discover the fun in waking up (super) early and getting some work done. Something I never achieved in life. I am rather a night owl but this experience is surely interesting. 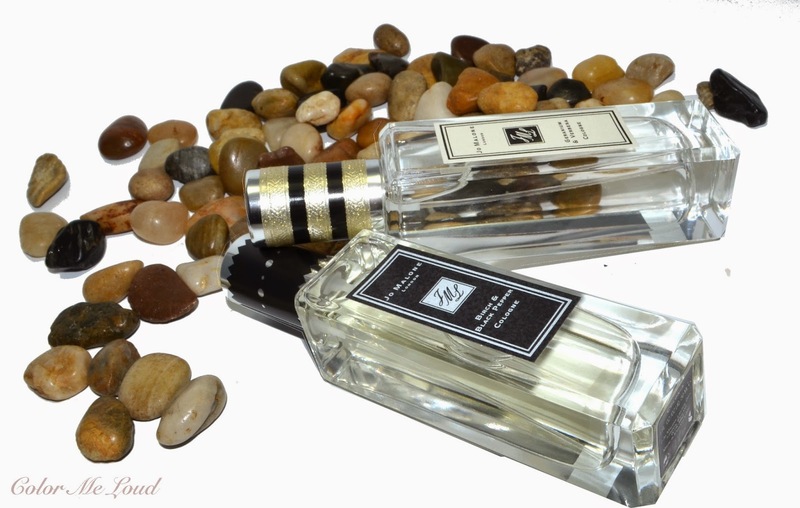 Jo Malone London's Rock The Ages Collection rocked the blogosphere. Blog posts wouldn't stop of fellow bloggers who ended up purchasing it all. In Germany we were late to the party, hence my review comes just now. I see though these are still available at stores. Yesterday I was at Twelve Oaks Shopping Mall near Detroit, Jo Malone Counter at Nordstrom still had some pieces of the collection. Oh and yesterday I again went overboard. Before I financially declare bankruptcy after all my travels, I should seriously stop, like now! Anyway back to Jo Malone. I find the idea of representing different ages with perfume to be very creative. Smells are all about recalling our memories. I was head over heels with their Wanderlust Collection (reviewed here). This time around it is hundreds of years, history of Britain, put in bottles. ... the bottles. How cute are these. They are loyal to the minimalistic and modern Jo Malone signature bottles but the tags are printed in different colors and the caps have fitting stickers on them. With such simple but effective changes, the design looks so chic and makes already attractive fragrance irresistible. I have selected Geranium & Verbena and Birch & Black Pepper depending solely on their description. Later on when I sniffed these at the store, I was happy about my decision. There are five fragrances being released in the collection, one of them, Pomegranate Noir, is from the permanent range. I liked Geranium & Verbena and Birch & Black Pepper especially for their uniqueness to my collection but upon smelling the florals, Tudor Rose & Amber and Lily of the Valley & Ivy, these are also quiet unique in their category. I am not a huge fan of white florals on my skin since they get amplified to an extend that it smells too intense on me. Lily of the Valley & Ivy though has a great balance which was not overwhelming, while still being a white floral fragrance. Jo Malone Geranium & Verbena is a refreshing green fragrance which smells clean and pretty. Although top notes have bergamot, basil and verbena, all very citrusy, it is very different than the citrus kick you get with a majority of perfumes out there. Opening is more sophisticated. I would describe it as being like mint freshness as opposed to a new cut lemon. In its heart Geranium & Verbena is grass green and freshly spicy due to the appearance of coumarin balancing geranium at the same time geranium's minty notes balancing neroli's citrusy character. Geranium & Verbena is all about the balance. It never becomes too fresh, nor too green, too feminine nor too masculine. On my skin it goes a bit too clean, almost soapy but manages to stay pleasant. Dry down is for vetiver lovers such as myself. Some may find it masculine but I find it beautifully unisex. This fragrance puts the garden parties of Edwardian period into bottle. Although I have never attended one myself (not invited? ), I can close my eyes and transfer myself to one, where the grass is freshly mowed and ladies are clean and pretty. On a contrast Birch & Black Pepper is something more of a revolt, leathery, smoky and woody. The freshness is not coming from verbena nor basil, it is spices such as cardamom or black pepper opens up the act. After a brief opening, birch starts dancing and its smoky character slowly takes over. It does so, so beautifully, without getting heavy or too dark in anyway. There is a brightness in the darkness, beauty of the ashes. To me Birch & Black Pepper is the most interesting and unique fragrance in the collection. Dry down is a little balsamic, promises vanilla but I can't get it. I am happy though with what I get instead, a balanced woody, smoky gorgeousness. When I wear Birch & Black Pepper, my wrist constantly finds its way to my nose. I smell and sigh happily. I have also tried that one on my husband, which was a little more smokier but just as good. Birch & Black Pepper puts today's Britain in a bottle by its contrasting dark and bright qualities. To me this is one fragrance you shouldn't miss from this collection. There are many reviews from fellow bloggers on these fragrances. I am a little short on time but here is from Linda at Silverkis and Shelynx from Der blasse Schimmer (latter in German). 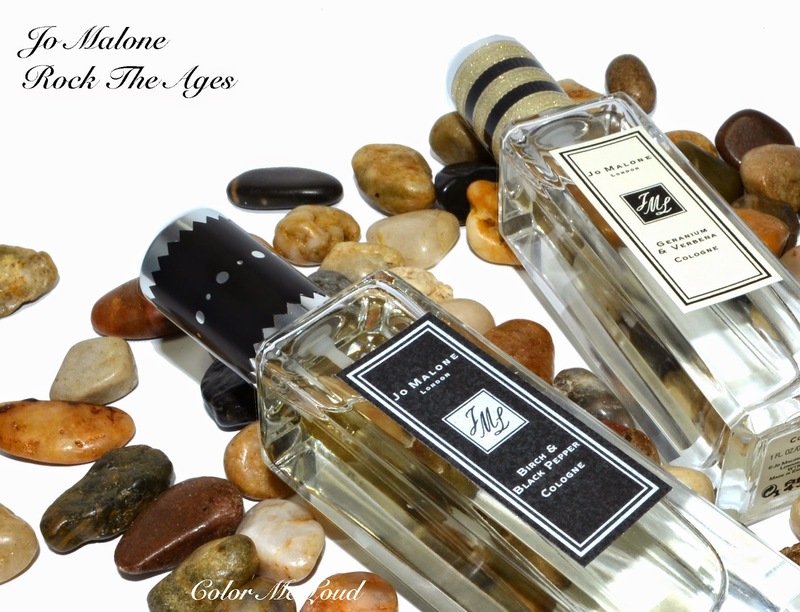 Final thoughts: A creative idea realized in a lovely way, Jo Malone's Rock The Ages Collection doesn't disappoint. Interesting notes are blended and presented in nicely balanced acts. If you like green fragrances with a touch of freshness and cleanness, check Geranium & Verbena out. 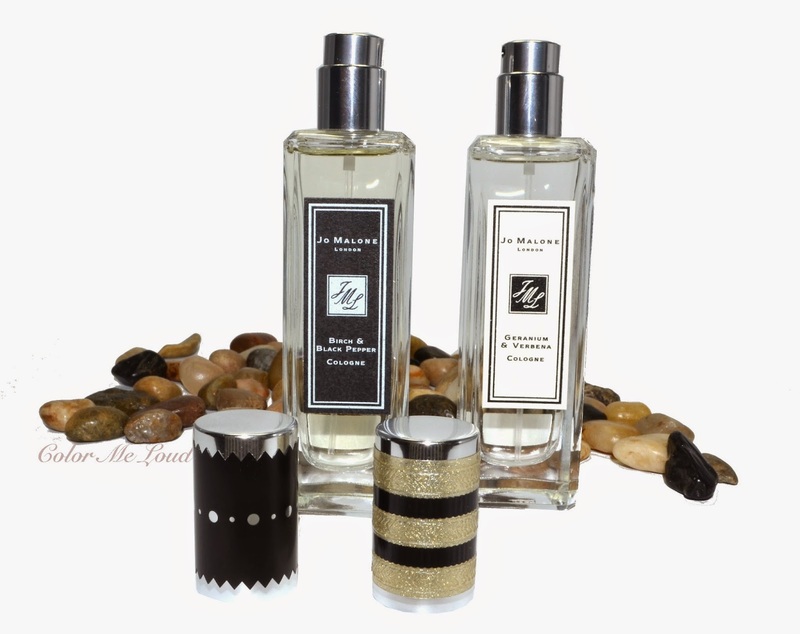 Birch & Black Pepper is a very unique composition of smoky and leathery notes, which manages to be not too dark, pleasant and perfectly unisex. Have you checked this collection out? Which one is your favorite? Disclaimer: Jo Malone Geranium & Verbena was provided free of charge for my consideration. I purchased Birch & Black Pepper. I am not paid for this review. All opinions are honest and my own. I love Black Pepper and Amber Rose. I need to get them eventually!